Expand your customer base and communicate with your customers wherever they are with a unique app built just for your business. While mobile apps still have a smaller market than mainstream websites their influence is growing exponentially. Why not have your own company app to help you build your customer base and increase your revenue? Our expertise allows us to build highly-functional mobile apps based on your vision, allowing you to communicate with your customers however you wish. We love getting involved in new ideas and projects; our team of experienced engineers, designers and project managers have been involved in bringing many pioneering apps to market. 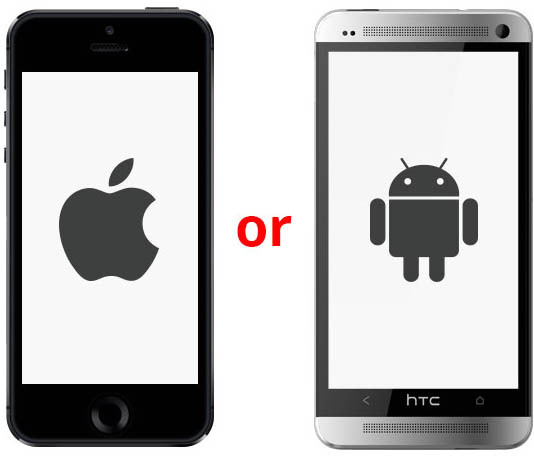 We can create your app for more than one platform by taking advantage of the powerful phonegap and Xamarin frameworks. Mobile Ads: Advertise your own business on a popular mobile app and you’ll see your revenue skyrocket. Mobile Commerce: More and more people are choosing to make purchases on their tablets and smartphones. A powerful mobile commerce app allows your customers to make purchases wherever they are. Some of the functionality we can provide includes calendar integration, ticket booking features, map integration and more. We use the most recent OS X and iOS SDKs to ensure that your mobile commerce app works perfect on when launched. Increase your brand awareness with a custom-made corporate app suitable for both small businesses and large enterprises. An easy to use interface and powerful account management tools will help you keep it up to date without require expert technical assistance. Harness the power of social networking to grow your business with your own social network app. We prioritize the experience of the end-user so that your social network can flourish. We provide specialist mobile applications for the health industry, focusing on delivering value, great user experiences and excellent functionality across multiple platforms. How does the app development process work? Before we get started creating anything we’ll find out more about your company and brand and how you want to communicate with your users. We then use this information to formulate a strategy for creating your perfect app. Here we map out every way a customer can use your app. By mapping these interactions we can then get to work creating the coded logic behind the app and ensure that everything works together easily and efficiently. Once we’ve got an understanding of how the app is going to work our design team can begin to create a beautiful theme and interface for your app. As the app nears completion we will go through an iterative testing procedure to get your app ready for release and to weed out any bugs or errors that might have crept in. IDE’S we love: XCODE for IOS development, eclipse for android development, XAMARIN IDE for xamarin based Hybrid application development.